bladeless lasik safety oakland county - Is Bladeless LASIK Safe? and involves minimal risk and damage to the eye. 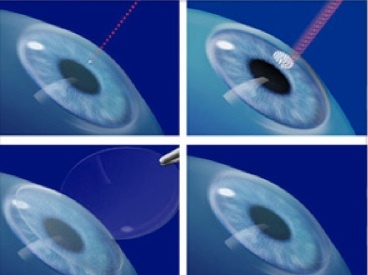 surgery is able to consistently produce flaps for the corneas that are thin enough to treat all those people whose cornea flaps were too thin to be treated using the original LASIK procedure or any other LASIK method. Why is bladeless LASIK safer than other techniques of laser eye surgery? for patients. – With the laser flap maker or the bladeless flap maker patients do not have to worry about partially created flaps, buttonholes and free caps. It brings a lot of inner peace and solitude not only to the patient and his well-wishers but to the eye surgeon and his entire line of staff and nurses as well. The risk involved in creating a corneal flap using bladeless LASIK as opposed to using a blade in the traditional LASIK surgery is far less. This reduces anxiety for patients as well, knowing that there is no actual 'cutting' involved. The flap created using the bladeless LASIK surgery is much better and safer than the flap created using the blade in the other types of LASIK surgeries. It is of a much higher quality. There have been documented cases of complications arising in patients who have had their corneal flaps created using microkeratomes that creates a very thin layer in the middle that could lead the flap to even break or split. None of this will happen using the bladeless LASIK technique.